Rick Ross posed for a picture with 2 Chainz, TI and Yo Gotti on Beyonce's Formation Tour. 17. 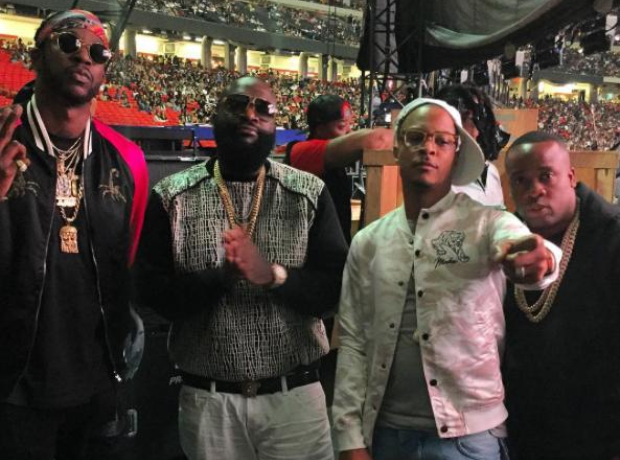 Rick Ross posed for a picture with 2 Chainz, TI and Yo Gotti on Beyonce's Formation Tour.